Happy Birthday to Mommys Craft Obsession! Getting Green with Baby has teamed up with Mommys Craft Obsession to help celebrate their first blog-birthday! We have two (2) weeks of huge giveaways planned, the first week being "baby themed gifts" and the second week being "gifts for mom". 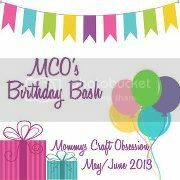 We have everything from strollers to cookware being given away during MCO's Birthday Bash! 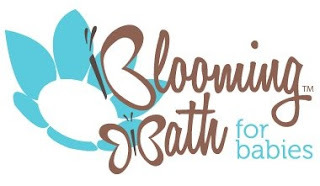 MCO's Birthday Bash is being kicked off today with an amazing giveaway for a Blooming Bath! If you have never seen these before, I highly recommend you check out their website! They are pretty much the coolest thing since sliced bread! (At least as far as baby bathing goes. ;) ) I wish I would have known about these before we started bathing my daughter in the tub. I am definitely getting one for our next baby! Blooming Bath is a fun and unique way to bathe your baby. 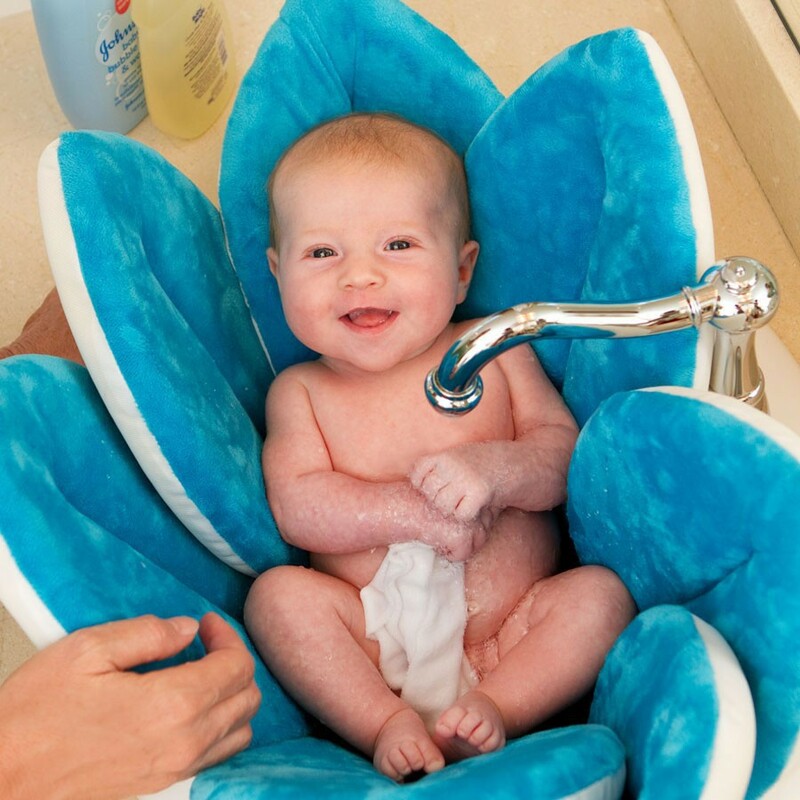 Made from soft, plush materials, Blooming Bath is a safe and comfortable bathing experience for your little one. The Blooming Bath is shaped as a flower, allowing its petals to hug any shape of sink for mommy's convenience. The Blooming Bath features an easy, no mess clean up by allowing you to simply fold out the access water after your child's bath, and simply placing the Blooming Bath into the dryer for 10-15 minutes, or by using the hang tag on the back to let your Blooming Bath hang dry. The Blooming Bath is made out of naturally antimicrobial foam interior and fabrics which means there are absolutely no harmful chemicals in this adorable tub! Choose from three beautiful colors to fit your little ones personality the best- Turquoise, Hot Pink, or Ivory! To Purchase: Visit Blooming Bath's website OR visit one of the 80+ Buy Buy Baby stores or Target's website and pick yours up for $39.99! Perfect for yourself or as a baby shower gift! To Win: Mommys Craft Obsession and Blooming Bath are giving away one Blooming Bath in Winners Choice of Color! Enter the Rafflecopter below, all entries are optional with exception of your address and color choice, which is necessary for product shipment if you are the winner. The Giveaway will close late on the evening of June 3rd. The winner will be chosen at random through Rafflecopter which uses Random.org. The winner will be announced both on Rafflecopter as well as MCO’s Facebook. The winner will have their prize sent to them by Blooming Bath. Mommys Craft Obsession and other participating bloggers are not responsible for prize shipment. Must be 18 years and older. Facebook, Twitter, Pinterest, and Google are in no way affiliated with this giveaway. No Purchase Necessary. US Only. *Mommys Craft Obsession and other participating bloggers, including myself, Getting Green with Baby, have not received compensation (monetary nor product) to promote this giveaway.